What is the difference between a Novel and a Novella? Novel: a work of 40,000 words or more. Novella: a work of at least 17,500 words but under 40,000 words. Novelette: a work of at least 7,500 words but under 17,500 words. Short story: a work of under 7,500 words. About the Author: Jack London from Classic Reader. Includes: Rated Titles in Fiction category, Titles in Non-Fiction category, Titles in Short Stories category. Author biographies courtesy of Authors' Calendar. The Cambridge Companion to American Realism and Naturalism: The Call of the Wild and The Jungle. Short article on Jack London's and Upton Sinclair's Animal and Human Jungles by Jacqueline Tavernier-courbin. "Sinclair was less generous in his appraisal of London, basing his criticism not on the work but on the man. Voicing his own deep-set puritanical nature, he damned London for such sins as smoking, drinking, ..."
Jack London. Brief biography from American Literature. The Jack London Page: Literary Classics and Short Stories for Readers and Writers. 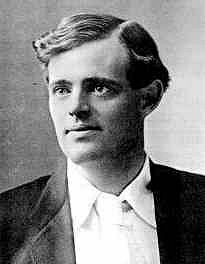 Jack London from Wikipedia, the free encyclopedia. "Jack London, probably born John Griffith Chaney (January 12, 1876 – November 22, 1916), was an American author who wrote The Call of the Wild and over fifty other books." Contents include: Personal background, Early life, First marriage (1900-1904), Second marriage, Beauty Ranch (1910-1917), Accusations of plagiarism, Political views, Controversial Views on Race, Death, Works, Short stories, Novels, Nonfiction and autobiographical memoirs, Apocrypha, Jack London Credo, The Scab, Might is Right, Traven, Notes, Novels, Autobiographical memoirs, Nonfiction and essays, Plays, Trivia, External links. Jack London (1876 - 1916). Biography from The Free Library by Farlex. "Jack London was born in San Francisco. He was deserted by his father, 'Professor' William Henry Chaney, an itinerant astrologer, and raised in Oakland by his mother Flora Wellman, a music teacher and spiritualist. London's stepfather John London, whose surname he took, was a failed storekeeper. London's youth was marked by poverty. ..." Includes Famous quotations by Jack London. Jack London (1876-1916) - original name John Griffith Chaney. Biography from Authors' Calendar. Jack London. Books and biography from Read Print, your free online library. 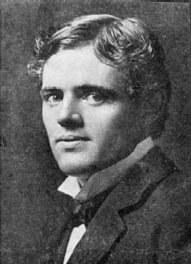 Jack London - Biography and Works from Literature Network, with e-text links to Jack London's Fiction, Short Stories, Poetry, and more. Jack London Book Collection from Utah State University. "The author of such classics as Call of the Wild and White Fang, London led a life that was even more adventuresome than the characters he created. ... Included in that collection is a complete set of first editions of Jack London's books ... exhibit features an image of the cover and title page of each book as well as London's inscription and photograph. The pictures range from vacation snapshots to family portraits to pin-up photos of London himself." Jack London - his life and books from Sonoma State Historic Park. 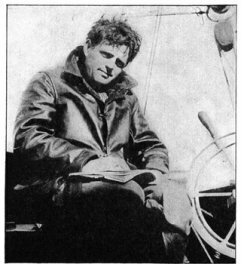 "Jack London fought his way up out of the factories and waterfront dives of West Oakland to become the highest paid, most popular novelist and short story writer of his day. He wrote passionately and prolifically about the great questions of life and death, the struggle to survive with dignity and integrity, and he wove these elemental ideas into stories of high adventure based on his own firsthand experiences at sea, or in Alaska, or in the fields and factories of California." Includes photo of Jack London at age 8 with his dog Rollo. Jack London's Grave Site. Includes photo of Jack and Charmian London's grave. "... on November 26, 1916, in a silent ceremony, Charmian London placed her husband's ashes on the chosen knoll under a large lava rock. After she passed away in 1955, Charmian's ashes were also laid to rest under the rock." London, Jack. Brief biography from The Free Dictionary by Farlex. "London, Jack (John Griffith London), 1876–1916, American author, b. San Francisco. The illegitimate son of an astrologer and a Welsh farm girl, he had a poverty-stricken childhood, brought up by his mother and her husband, John London. ..."
Who Was Jack London? From Wordsworth Publishing. An Overview, Jack London ... the Writer, the Sailor, the Gold Prospector, the Rancher, plus A Chronology of Jack London's Life. The World of Jack London: A Pictorial Biography from JackLondons.net. A Short 2-Page Biography of Jack London with Color Pictures. London, Jack. The Call of the Wild from Electronic Text Center, University of Virginia Library. The Call of the Wild by Jack London, Project Gutenberg Release #215 (1995) from The Online Books Page by John Mark Ockerbloom, a digital library planner and researcher at the University of Pennsylvania. The Call of the Wild eText. Chapters I to VII in Printable Version or Download PDF, from enotes.com. The Call of the Wild - Written in 1903 by Jack London (1876-1916) from Infomotions. Bibliomania.com: The Call of the Wild by Jack London. Full text and plot summary. The Call of the Wild by Jack London (1876-1916). Etext from About.com with links to other Literature e-texts. Call of the Wild by Jack London. eBook from Read Print, your free online library. The Call of the Wild (London). Etext of Chapters I to VII from Wikisource. Jack London: The Call of the Wild. Etext from The Free Library by Farlex. Jack London: The Call of the Wild. Etext from Literature Page. Table of Contents: The Call of the Wild (Fiction, 1903, 84 pages). The Call of the Wild by Jack London. Etext from World Wide School. Read "Terms" before downloading ebook. The Call of the Wildby Jack London. Read Books Online, for Free, from Page by Page BooksTM. The Call of the Wild by Jack London. Serialized in The Saturday Evening Post, June 20 - July 18, 1903, from the World of Jack London. Concordance: London, Jack: Call of the Wild from The Victorian Literary Studies Archive: Hyper-Concordance. Jack London: The Call of the Wild. Serialized in The Saturday Evening Post, June 20-July 18, 1903. Site maintained by Roy Tennant and Clarice Stasz, Sonoma State University, Rohnert Park, CA. Chapter 7: The Sounding of the Call. The Call of the Wild (Serialized in The Saturday Evening Post, June 20 - July 18, 1903) by Jack London, with cover image provided by a photo taken by Bill Faulk, from the Young Readers American Classics Library. Comment from Aaron Ezis of Ezis Web Authoring Services: "The Call of the Wild by Jack London is in the range of 6-8 graders everywhere, although bright 3-6 graders will enjoy it." Best Dog Story Ever Written: The Call of the Wild from the World of Jack London. The Call of Jack London. Essay by Jeremiah Creedon from the Utne Reader. The Call of the Wild: Preface, 100 Years of Criticism. Essay by Henry Veggian, PhD, University of Pittsburgh. The Call of the Wild reviews from the nation's top critics and audiences at Rotten Tomatoes. The Call of the Wild, White Fang & To Build a Fire (Modern Library) by Jack London from Powells.com. Very brief Synopses & Reviews. See also: Call of the Wild (Dover Thrift Edition) by Jack London. Publisher's Comment and brief Synopsis. Feel call of the wild at Jack London Park by Bob Ehlert, Sacramento Bee, from desecretnews.com. "Jack London's life was a meteor that entered the atmosphere with such speed and ferocity, it's no wonder there was nothing left but ashes at his grave. ..."
The Jack London Page. Literary Classics and Short Stories for Readers and Writers. eTexts to Jack London's three novels: White Fang, The Sea Wolf, The Call of the Wild, and his short stories. Jack London's Golden State. From Esther Lombardi, About.com. Jack London's Naturalism: The Example of The Call of the Wild by Earl J. Wilcox, from the World of Jack London. 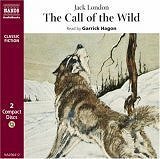 LibraryThing: The Call of the Wild by Jack London. 9 book reviews by members. LibraryThing connects people who read the same things. Chapter Summaries & Analysis, Chapters 1 - 7, Characters, Setting, Social Concerns, Social Sensitivity, Techniques, Literary Qualities, Themes, Style, Historical Context, Critical Overview, Criticism, Critical Essays #1, #2, #3, Media Adaptations, and more. Bookwolf: Online Free BookNotes: The Call of the Wild by Jack London. Chapter Summaries & Interpretations. Contents: Context, The Author, Characters, Chapters 1-7, Questions for Study. Free download for ad supported version, includes Spam Blocker Utility. The Call of the Wild: Information from Answers.com. Call of the Wild - a novella by American writer Jack London, from Wikipedia, the free encyclopedia. Plot summary, Literary significance & criticism, Film, TV or theatrical adaptations, Japan Anime Call of the Wild. The Call of the Wild by Jack London: Student Study Guide . Created by Brian Thornton, Haileybury, ON, Canada. Not to be used or copied in any manner without specific written consent of the publisher. All answers must be in sentence form. Chapters 1-7, Questions, Vocabulary, Enrichment. Call of the Wild by Jack London: Vocabulary. Words (100 total words) listed in order of appearance by chaper. The Call of the Wild: Reading Group Guide from the World of Jack London. The Call of the Wild - Student Study Guide - Jack London. Created by Brian Thornton. Chapter by chapter questions. All answers must be in sentence form. The Call of the Wild - Student Study Guide - Jack London by Brian Thornton, Capo Creations, Haileybury, Ontario, Canada. Chapters 1-7: Questions, Vocabulary, and Enrichment. Note: Not to be used or copied in any manner without specific written consent of the publisher. The Call of the Wild Summary from eBookMall. Summary is located at the bottom of the page, after all the ebook ads. Resources for Call of the Wild. Study Help - Quiz, Essay Questions, Practice Projects. CliffsNotes: The Call of the Wild by Jack London at Yahoo! Education. The same CliffsNotes study guide is also available at Yahoo! About the Author, About the Novel - A Brief Synopsis, Chapter Analyses: Chapters 1-7. The Glencoe Literature Library - Study Guide for The Call of the Wild by Jack London - in PDF, 22 pages. Student assignment sheets from Glencoe McGraw-Hill. Contents include: Meet Jack London, Introducing the Novel, Map of Alaska and the Yukon Territory, Active Reading, Vocabulary Preview, Relating Call of the Wild to With Age, How Do the Animals Fare? by Sherry Joe Crosby, from Sled Dogs by Elizabeth Ring, The Animal Mind by James L. Gould and Carol Grant Gould, and The Cat That Walked by Himself by Rudyard Kipling. The Literature Network - Call of the Wild by Jack London Study Guide: Search, Read, Study, Discuss. Literature Network Forum on Call of the Wild. Schmoop.com - The Call of the Wild by Jack London: Analysis, summary, chapter-by-chapter, themes, characters, notes, study questions, literature. Call of the Wild. A Web Quest for 8th Grade Reading by MaryAnn Duderstadt and Sue Larson. The Call of the Wild by Jack London. Theme: Surviving in the Wild for Grades 7-8, from ClassZone.com Language Arts: Novel Guides. Theme Openers, Crosscurricular Activities, Research Assignments. Call of the Wild Webquest: Building Background Knowledge - in PDF, 2 pages designed for middle school students by Dixie L. Boschee, University of Minnesota. Call of the Wild: Eighth Grade Language Arts - in PDF, 6 pages. Lesson plan by Karla Trobaugh and Lillian Williams. A Glynn's Integration of Systems Thinking (GIST) Project from Glynn County School System, Brunswick GA. Call of the Wild Literature Unit. Activities, vocabulary, review quizzes for Grades 6-9, from edHelper.com. Evaluating The Call of the Wild by Susan Moxley. Introduction, Task, Resources, Process, Evaluation, Conclusion. Jack London's The Call of the Wild: “Nature Faker”? Lesson plan for Grades 6-8, from EDSITEment. Survival: The Call of the Wild by Jack London. Teaching aid book, a Microsoft PowerPoint presentation, from State of Utah Office of Education. A Teacher’s Guide to the Signet Classic Edition of Jack London’s The Call of the Wild - in PDF, 17 pages by Jim Cope and Wendy Cope, Professors of English, Kennesaw State University. Contents: Introduction, Prereading Activities, List of Characters, Synopsis of the Novel and Teaching Suggestions for Chapters 1-7: Discussion Questions, Vocabulary, Activities, Quotations, plus Extended Learning. Call of the Wild (1935) DVD Review from About.com: Your Guide to Classic Movies. Starring Clark Gable, Loretta Young, Jack Oakie. Directed by William Wellman. Guide Rating: . Includes black & white images from © 20th Century Fox. "Call of the Wild is based on Jack London’s novel and is based on his own gold seeking adventures. Screenwriter Gene Fowler drifted away from the novel quite a bit to build a story that unfolds through adventure, intrigue and romance ... Jack says to Claire ... 'Wishing never got anybody anyplace. It's owning something that counts. And taking it when you can't get it any other way, that's all right too. It's the law up here; the law of the Klondike.'" The Call of the Wild (1908). Directed by D.W. Griffith. Call of the Wild (1923). Directed by Fred Jackman. The Call of the Wild (1935). Directed by William A. Wellman. The Call of the Wild (1976) (TV). Directed by Jerry Jameson. Call of the Wild (1993) (TV). Directed by Michael Toshiyuki Uno and Alan Smithee. The Call of the Wild: Dog of the Yukon (1997) (TV). Directed by Peter Svatek. Call of the Wild (2000) (TV Series). Directed by David Winning and Zale Dalen. Call of the Wild (1975) (DVD) - Amazon.com Review by Chris Clash January 11, 2007. "What appears to be a small budget for the film, does remarkably well in capturing the crude and bawdy Yukon gold rush boom towns, and the genuinely wintery and snowy northern wilderness. The film pulls no punches in delivering the violent aspects of the book, (the dog trade is crude and ugly) ..."
Call of the Wild (1975) (DVD) - Amazon.com Review by Jill Jenkins. November 26, 2006. "Jack London's Best, Charlton Heston at his best & Buck rounds it all out to be a perfect 5! This wonderfully naturalistic movie is not for the weak at heart. The story line was taken from Jack London's adventures in his own life experiences. Charlton Heston did an absolutely wonderful job acting out the part, Buck the dog made the entire movie perfect! " Call of the Wild (1975) (DVD) - Amazon.com Review by Nancy Moran October 19, 2004. "This is not a Disney film - This is a grownup adventure. True to the book by Jack London, the dog Buck is kidnapped and taken to Alaska to be a team dog. Buck is not a purebred German Shepard but a mix with Rottweiler. ... Buck develops a loyalty to Charlton Heston. ... Like the book, Buck joins a pack of wolves at the end, abandoning any human contact. ... Buck has found freedom at last." The Call of the Wild - Dog of the Yukon (1997) (VHS) - Amazon.com Review by B. Chandler September 17, 2003. "Most excellent adaptation. Gold was found in Alaska, the rush to obtain it required a strong constitution and many dogs to do the work that horses usually did in the states. The environment bred harsh attitudes. ... Buck goes through many lives, trials, and tribulations finally realizing his potential. On the way he learns many concepts from surprise to deceit, and cunning; he also learns loyalty, devotion, and love. As he is growing he feels the call of the wild." Call of the Wild from The Compleat Lexical Tutor: For data-driven language learning on the web. Read and Listen at the same time. In the sidebar, click Chapter to read, click Sound player to listen. Excellent resource for students to follow the story word by word. The Call of the Wild - Dog of the Yukon (1997) (VHS) - Amazon.com Review by Arleen Rutten June 7, 2000. "This superb version of Jack London's tale of unconditional love, survival of the fittest and London's belief that all living creatures including man are capable of reverting to their wild beginnings ... Exquisitely photographed in muted tones, Call of the Wild tells the story of Buck, the handsome Newfoundland, who is kidnapped because of his massive size from his pampered life in California, and endures horrific hardships, numerous owners, and self-discovery as he is taken to man's 'holy grail' - the Klondike Gold Rush." The Call of the Wild by Jack London. Audio Book, computer-generated, from Project Gutenberg. Download MP3 Audio, Size 15.74MB. Copyrighted. Check license inside ebook. Jack London Book Collection from Utah State University Libraries. Image of book cover of Call of the Wild, Illustrations by Paul Bransom. New York: Macmillan, 1912. Inscribed by the author to his wife Charmian. Jack London's Call of the Wild: a Titles & Air Dates Guide by George Fergus, from epguides.com. Based on The Call of the Wild (2000) TV Series. Includes links to actors/actresses: Shane Meier as Miles Challenger, Nick Mancuso as John Thornton, Rachel Hayward as Adoley Thornton, Kathleen Duborg as Mercedes Levant, William MacDonald as The Swede, and Crystal Buble as Emma. Listen to a 30 second clip in MP3. Weekly Picks: Call of the Wild by Jack London - Read by Gordon Mackenzie, Kristen McQuillin, Jean O’Sullivan, and Miette. Alaska's Gold. This Alaska Gold Rush site was developed by the Alaska Rich Mining Project Committee to make archival, library and museum materials more accessible to users throughout the state and to assist teachers in using primary source materials in classrooms. Contents include: Discovery of Gold, Traveling to the Gold Fields, Gold Mining, Daily Life, Our Legacy, A True Gold Rush Story: The Edgren Saga - One family's journey during the Klondike Gold Rush, Search the Alaska Gold Lode database of image archives, Teacher's Guide, Links to Mining Laws (circa 1898), Mining: Glossary of Terms, circa 1898. American Experience: Gold Fever with photos and maps, from PBS. Contents include: Greetings from the Klondike, What They Brought Along, Teacher's Guide. Before the Klondike Gold Rush by Ken Spotswood. Margaret and Mari in the Klondike Gold Rush. On disputes over gold mining, by Darrell Hookey. Death and Disappearance on the Yukon River. Yukon Indians and the Gold Rush. Stampede Routes to the Klondike Gold. Women of the Klondike by Ken Spotswood. Tons of Gold!! by Murray Lundberg, includes Treasure Ship Passenger Lists. Dawson City - Gold and the Rush for It! Jack London Cabin and Interpretive Centre with photo. Jack London’s original log cabin was built on the North Fork of Henderson Creek, 120 km south of Dawson City, just prior to the gold rush of 1898. London entered the Yukon in September of 1897 as a 21-year-old prospector looking for gold. The Klondike Big Inch - Quaker Oats Klondike Big Inch Land Give Away. Don't try to claim your square inch of Yukon land if you still have the gold-embossed deed in your possession since around 1954, because each individual deed was never formally registered, the Klondike Big Inch Land Co. has gone out of business, and the Canadian government has repossessed all the land back in 1965 for non-payment of $37.20 in property taxes. Dawson City, Yukon from Wikipedia, the free encyclopedia. Gold Rush Centennial Photographs: 1893 - 1916. Historical Collections from Alaska State Library. Photos grouped by topics: On the Trail, Juneau, Nome, Skagway, Other Towns, People, Mining, Transportation, Entertainment. Klondike Gold Rush: History and Culture: Gold! Gold! Gold! "Beginning in 1897, an army of hopeful goldseekers, unaware that most of the good Klondike claims were already staked, boarded ships at Seattle and other Pacific port cities and headed north toward the vision of riches to be had for the taking." From National Park Service, U.S. Department of the Interior. The Story of the Klondike Gold Rush: Part One. On July 14, 1897, the SS Excelsior landed in San Francisco with over 750,000 dollars worth of gold. (Includes photo: Klondike Gold Arrives in Seattle. From Museum of History & Industry, Seattle, WA). The Story of the Klondike Gold Rush: Part Two. (Includes map: Klondike Gold Field). The Story of the Klondike Gold Rush: Part Four. (Map: Routes to the Klondike gold fields). The Story of the Klondike Gold Rush: Part Five. (Photo: Trail nicknamed Golden Stairs. It was so difficult that many stampeders turned back at this point). The Story of the Klondike Gold Rush: Part Six. (Photo: White Pass Trail got a nickname the Dead Horse Trail). The Story of the Klondike Gold Rush: Part Seven. (Photo: Stampeders storing part of their ton goods at the summit). The Story of the Klondike Gold Rush: Part Eight. (Photo: Stampeders built boats on Bennett Lake to travel on the Yukon River to Dawson). The Story of the Klondike Gold Rush: Part Nine. (Unfortunately, photo of discouraged stampeders is not accessible). Gold Rush Centennial Photographs 1893-1916 from Alaska State Library. The 1898 Yukon Act. The Yukon Territory Act - An Act to provide for the Government of the Yukon District. American Heroes of the Klondike Gold Rush. Listed by their native State, from The Klondike Weekly, Dawson City, Yukon Territory. Canadian Heroes of the Klondike Gold Rush. Listed by their native Province, from The Klondike Weekly, Dawson City, Yukon Territory. Dan Snure, Yukon Pioneer - Klondike Outfit List. List of goods that Dan and his partner, Ned Dyers, purchased for their planned two-year stay in the Klondike gold fields, quoted from letter dated August 1, 1897. A Watery Grave - Drownings in the Yukon & Alaska by Murray Lundberg, a historian, tour guide, writer and photographer who lives in the little village of Carcross, in Canada's Yukon Territory. The Klondike Gold Rush from GradeSaver: ClassicNotes Study Guide on Call of the Wild. Klondike Gold Rush from Wikipedia, the free encyclopedia. "The Klondike Gold Rush was a frenzy of gold rush immigration to and gold prospecting along the Klondike River near Dawson City in the Yukon Territory, Canada, after gold was discovered in the late 19th century." Klondike Gold Rush: The Perilous Journey North from University of Washington Special Collections. Klondike Gold Rush - Yukon Territory 1897. "The Klondike gold rush began in July of 1897 when two ships docked in San Francisco and Seattle carrying miners returning from the Yukon with bags of gold. The press was alerted and papers carried the story to the masses. Soon, miners of all shapes and sizes, called "stampeders", were on their way to the gold fields. Within six months, approximately 100,000 gold-seekers set off for the Yukon. Only 30,000 completed the trip." 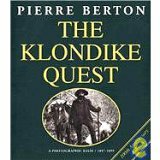 The Klondike Quest A Photographic Essay: 1897 - 1899 by Pierre Berton. Klondike: Quest for Gold Series Trailer from YouTube, 0:51 min. North to Alaska ~ Johnny Horton from YouTube, 3:05 min. The Call of the Wild. Poem by Robert Service. One of the poems in The Spell of the Yukon, from World Wide School. Call of the Wild: Quiz from SparkNotes. The Call of the Wild: Quotes from Jack London. From Esther Lombardi, Your Guide to Literature: Classic, from About.com. The Jack London Educational Research Foundation, Inc. is a nonprofit corporation registered in the State of California. The Foundation runs an annual Writing Contest for high school students from around the United States. Three winners are selected each year. First prize: $1000 for the writer of the essay or short story best capturing the spirit of Jack London. Second prize: $500, third prize: $250. The Jack London Society, Inc., an international non-profit organization that promotes study of the life and work of Jack London, was founded in 1990 as an author society affiliated with the American Literature Association. Call of the Wild from ricochet-jeunes.org, Centre International d'Etudes en Littérature de Jeunesse, France. Info available in French, Spanish and English. This library offers the reader a series of identification sheets about books, authors, illustrators and film adaptations of children's and young people's literature.